In 1958, Art Kane (1925–1995) photographed fifty-seven jazz musicians spilling off a brownstone stoop in Harlem for an Esquire magazine issue about the evolution of the genre. Since the Harlem Renaissance, the neighborhood had been a notable center of the uniquely American sound of jazz. 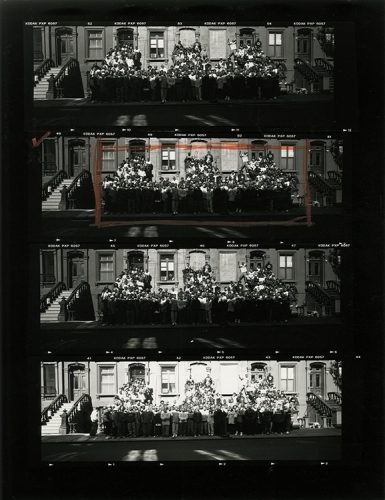 As his photograph—commonly referred to as “A Great Day in Harlem”—ingrained itself in our collective memory, countless “Great Day” homages were created to record other historic gatherings: A Great Day in Hollywood, . . . Philadelphia, . . . Kansas City, . . . Jersey, . . . Saint Paul, . . . Houston, . . . Spanish Harlem, and a Dutch version, A Great Day in Haarlem, among others. 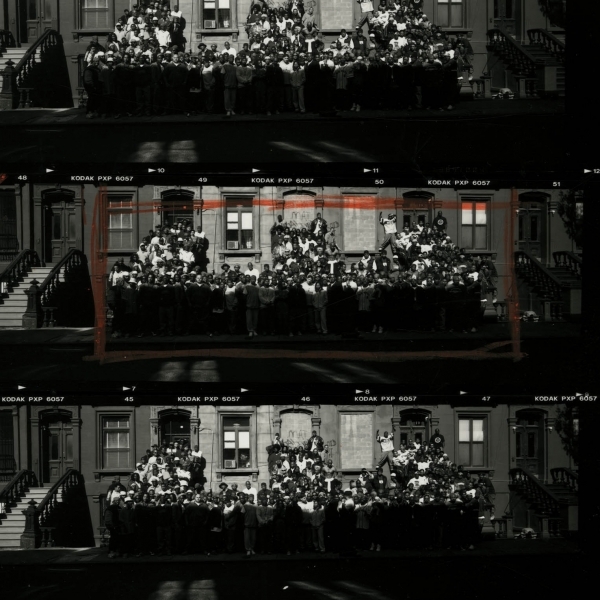 Gordon Parks (1912–2006) visited this theme four decades after Kane, showcasing the importance of the brownstone at 17 East 126th Street. In 1995, Life magazine assembled ten of the twelve surviving musicians from Kane’s picture, and Parks photographed them standing where they had stood in 1958. The decrepit facade of the brownstone overwhelmed the silhouettes of the few elderly musicians, representing the end of the “Golden Age” of jazz that Kane had documented. The graffiti and cinder-blocked door and windows remind the viewer not just of the deleterious effects of time on people and structures, but of the evolution and gentrification of Harlem and the culture and music born from it. 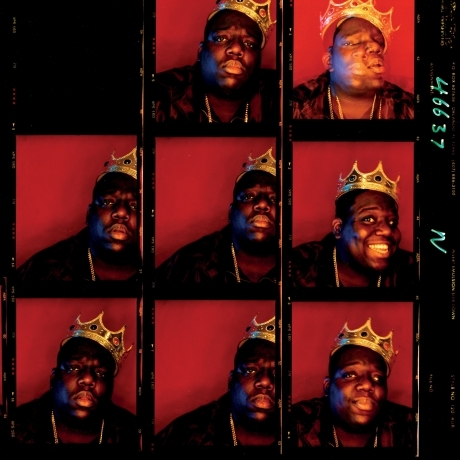 Three years after the Life photo, XXL magazine tapped Parks to return to 126th Street to photograph 177 hip-hop artists, producers, and influencers, who overflowed the stoop of number 17 to the two stoops on either side. The youthful bodies of a new genre’s golden age overtook the dilapidated brownstone, reclaiming the space for the next generation. At the twentieth anniversary of A Great Day in Hip-Hop—and the sixtieth anniversary of Kane’s original photo—17 East 126th Street has been lovingly restored and continues to tell the story of the shifting look, feel, and sound of Harlem. Twenty years ago, on September 29, I put my Rolleiflex camera in my shoulder bag and took the train up to 126th Street to meet Gordon Parks on the block where he would capture history. While my associates were greeting the rap artists at the church on the corner — O.G.s and new school — I spent the day with Gordon for what would become one of my greatest life moments. He sat in a metal fold-up chair most of the afternoon taking in his surroundings, which included the legendary three brownstones —the middle had already made history several decades earlier with Art Kane’s “A Great Day in Harlem”— and the nearly 200 rap artists who attended. At one point I crossed the street, took out my camera and started shooting a family on the block … and then Gordon. Later in the afternoon, the staff and all the rappers exited the church and walked down the block. It was an incredible scene seeing DJ Kool Herc on the bullhorn attempting to calm the crowd so Gordon could get the shot in time. It was a powerful and cerebral moment watching the sun trying to shut down the shoot as Gordon was waiting to press the shutter-release button. He got the shot and made history. As the dozens and dozens of rap talent dispersed from the stoops, I took out my camera again, ultimately going through 10 rolls of film—all inspired by Mr. Parks. I brought the film to a lab and ordered some contacts. They appeared overexposed, so I tossed them in a drawer. RESPECT. magazine recently published a tribute to the 20th anniversary of the XXL shoot by reproducing “The Game Changer,” former XXL editor Sheena Lester’s recollection of hip-hop’s greatest day. At press time I remembered the negatives, found them, had them scanned and, to my delight, they were exactly what I recalled capturing. For Jonathan A. Rheingold's site about the 1998 event, follow this LINK. 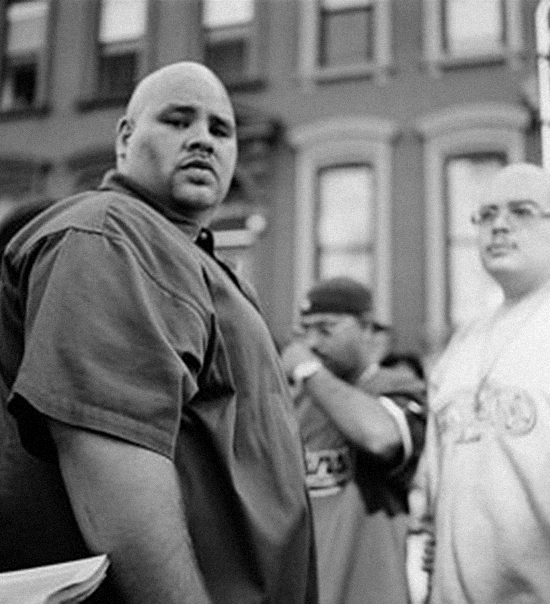 Jonathan A. Rheingold, Joey Crack (Fat Joe), 1998. Jonathan A. Rheingold, Put your hands… (Busta Rhymes), 1998. Jonathan A. Rheingold, London on 126th (Slick Rick), 1998. Jonathan A. Rheingold, Rev Run (The Reverend Run), 1998. Jonathan A. Rheingold, Naughty By Nature (Vin Rock), 1998.